Kevin P. McGuinness, LL.B., LL.M., S.J.D. 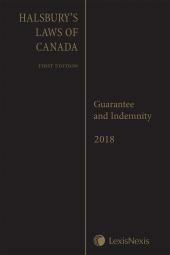 Newly revised and thoroughly updated, this important title provides a thorough examination of the duties, powers and responsibilities of receivers, liquidators, trustees and other court officers, by outlining the statutory regimes governing their functions. With its accessible framework and superior analysis, it is an imperative resource for corporate and insolvency law practitioners. A number of Supreme Court of Canada decisions affirm restitution's role in preventing "unjust enrichment" in a wide variety of contexts, including tort and contract law proceedings. Moving beyond theoretical maxims, this newly reissued title imparts a practical understanding of the restitution law. Topics covered include: context and grounds for restitutionary relief, claims against government, proprietary and monetary remedies, and defences to restitutionary claims. Kevin McGuinness, LL.B., LL.M., SJD, spent more than 35 years in the practice of corporate/commercial law until he retired in 2016 from the Crown Law Office of the Ontario Ministry of the Attorney General. His principal areas of practice include corporate commercial law and debtor-creditor remedies. 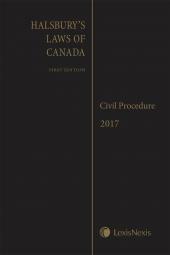 Previously, he has taught law in Canada, England and Australia and worked in various legal capacities in both provincial and municipal government, private practice and as in-house counsel to major corporations. 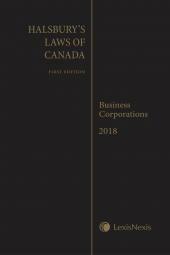 He is the author or co-author of many legal texts, including Canadian Business Corporations Law, 3rd Edition, Canadian Civil Procedure Law, 2nd Edition (with Master Linda Abrams) and the Business Corporations, Receivers and Restitution titles for Halsbury's Laws of Canada.